Hanoi’s exports continued to grow in the first two months of 2019, but the capital needs to focus more on branding and sustainable development of exports. 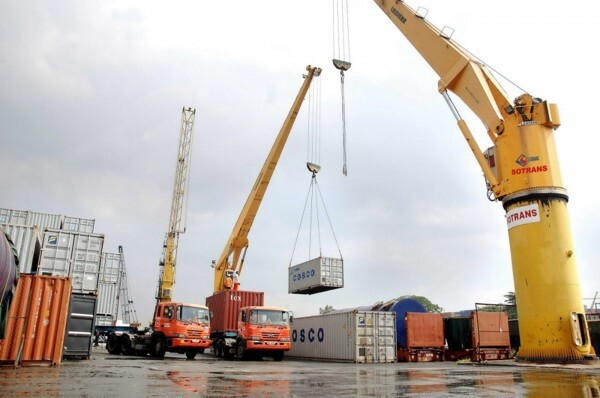 According to the Hanoi Statistical Office, the city exported goods worth an estimated US$2.24 billion in the first two months of 2019, up 21.3 percent from the same period last year. Machinery, spare part, textile, garment, phone and component exports experienced a growth higher than the target (7.5-8 percent). The domestic economic sector has become a major growth driver, accounting for 53.3 percent of the city’s total export value and experiencing an annual export growth of 14 percent. Consumer goods imports have decreased, while imports such as machinery, spare parts and materials serving domestic production increased. Nguyen Thanh Hai, Deputy Director of the Hanoi Department of Industry and Trade said the fact that the almost three percent increase in the exchange rate of the US dollar to the dong last year stimulated export and import activities. At the same time, businesses diversified their exports and export markets to minimize reliance on traditional exports and markets and the city has boosted trade promotion programs. Immediately after the Lunar New Year Holiday (Tet), the Hanoi Trade Corporation (Hapro) exported 200 containers of goods worth nearly US$5 million, including agricultural products, pottery and ceramic fine art and handicraft articles, among other products to China, Pakistan, Thailand, the US, the Netherlands and Japan. From February 17-22, Hapro participated in Gulfood Dubai 2019 (one of the world’s largest annual food, beverage and hospitality exhibitions) in the United Arab Emirates (UAE) and signed export contracts worth US$1 million. Nguyen Tien Vuong, Deputy General Director of Hapro said Hapro enterprises are intensifying investment in production to increase exports to 80 percent of their total revenues by 2020 and become the country’s biggest exporters of rice, cashews, coffee, pepper, and fine art and handicraft articles. In 2019, with global financial and monetary markets experiencing strong fluctuations and trade competition among major countries remaining tense, Vietnam is facing an increasing pressure from the implementation of free trade agreements (FTAs) and its economic potential and competitiveness and labor productivity remain modest. In 2019, Hanoi will be implementing export promotion plans to reach its export target and create the best conditions for businesses to expand markets. Specifically, the city will focus on realizing information and consultancy solutions to help businesses take advantage of opportunities and overcome challenges presented by FTAs while paving the way for them to access loans, handle administrative procedures, participate in trade promotion programs at home and abroad, and add value to their products. Hanoi will continue to attract investment in infrastructure (including logistics infrastructure), industrial zones, and service systems, and build information databases for business (including export) activities. On March 5, the Hanoi People’s Committee approved Plan 50/KH-UBND for implementation of the city’s 2019 investment, trade and tourism promotion program to promote sustainable exports and branding. Specifically, city departments and sectors will take the initiative in choosing strategic partners from such developed countries as the Republic of Korea (RoK), Japan, Singapore, the EU, Australia, and the US and developing countries like Malaysia, Thailand and China to realize investment attraction targets. Besides, they will prepare for large-scale export promotion activities, rapid, sustainable development of exports and Vietnamese goods branding while helping domestic enterprises overcome trade barriers in importing countries. It is necessary to intensify the Buy Vietnamese Goods campaign, strengthen inter-regional and supply-demand connection trade promotion, and promote high technology agricultural production models. Apart from assisting enterprises to boost exports, the city will encourage them to continue improving product quality and competitiveness and develop branding, and better the quality of human resources to meet actual development demands in the context of international economic integration.